Gust Equity Management can generate electronic certificates for Delaware C-Corps. 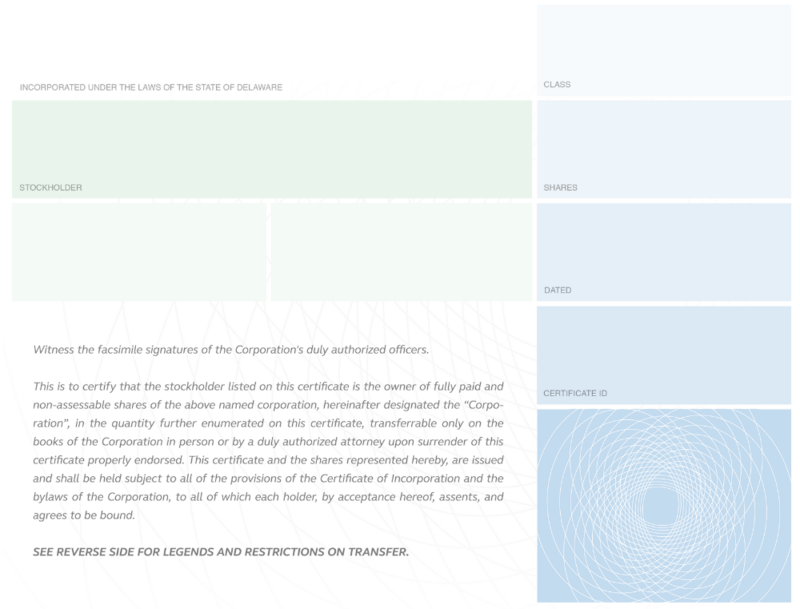 When setting up securities (or editing old ones) you'll see a section entitled "Certificate". Here we'll ask you to provide 2 facsimile signatures, and titles for each, as well as the restrictions for the back of the certificate (which we've handily pre-populated for you with standard language). Once those fields are complete, when you go to issue new stock you can check a box to generate a certificate for your new transaction. You'll need to add a certificate id before you can generate the certificate. For existing transactions you'll be able to generate a certificate at any time from the transaction screen. 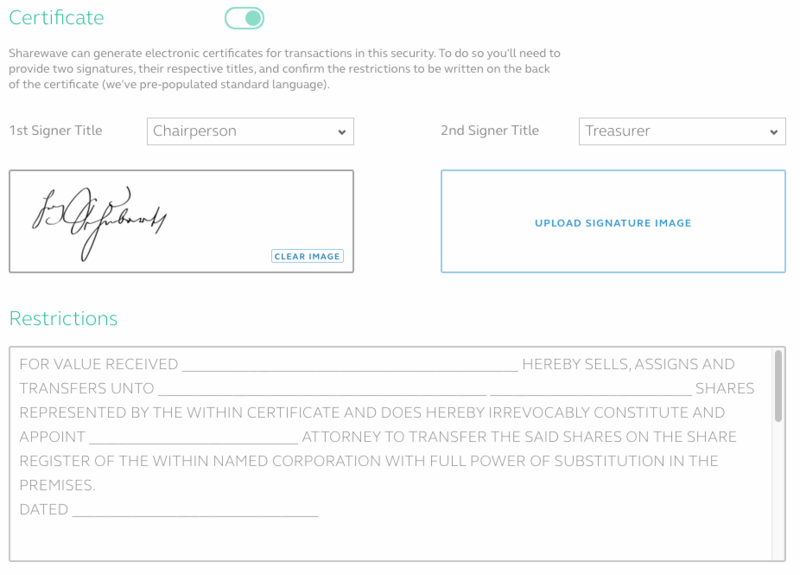 The generated certificate will automatically link to the transaction so when the transaction holder signs into Gust Equity Management they'll have access to the certificate.